Maybe we should start up a “DROID Appearances” category on this site since we love covering them so much. 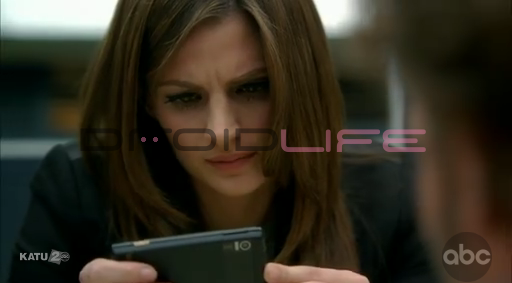 In the latest sighting, the original Droid gets some major face time on another episode of Castle. In the show, a boy is kidnapped and an OG is left in his place to provide clues to the cops and father. The kidnapper sends videos, texts and other fun clues all through our beloved Droid. Tuesday Poll: Buying a DROID Pro or DROID 2 Global?